2013 Artists In Music Awards Best Dance Artist winner, Melanie Taylor is proud to announce her debut performance with Travis Warren (Blind Melon) at the ‘Come Together Tour” on Tuesday, October 1. (Press Release) - October 1, 2013 - Houston, TX -- Melanie Taylor was selected by the JJ Foundation to perform a special song written by Taylor with Travis Warren (Blind Melon) at the ‘Come Together Tour’ coming to the Woodlands Church convention center in Houston on October 1. Melanie Taylor is an award winning Pop Artist originally from Carlsbad, CA. Now residing in Hollywood, Melanie Taylor now works with Sly Doggie Productions and Grammy Award Nominated Producer, Christian Davis (Lil Wayne, Mark Walberg, El Debarge, and Chad Brown). 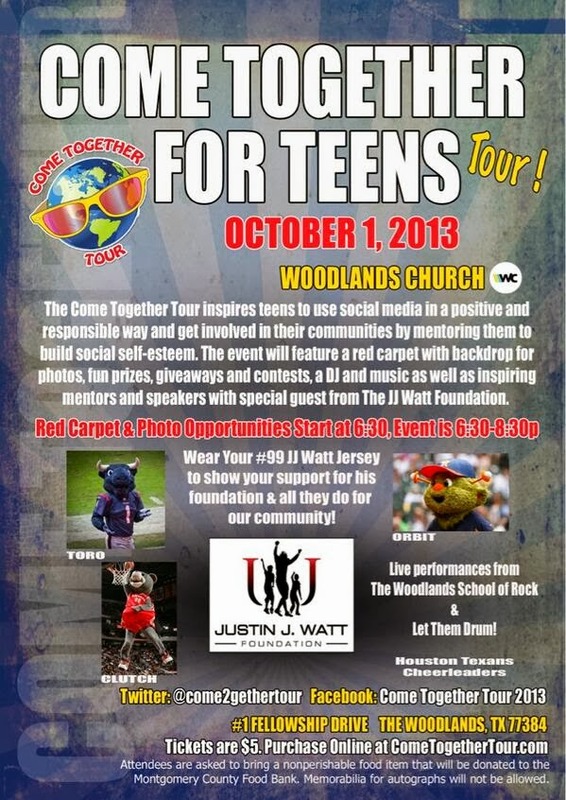 The Come Together Tour was created by Community Achievement Award winners, John & Connie Watt of the JJ Watt Foundation. The foundation was created to Inspire and mentor teens to connect with the world in a positive way and give back to the community. 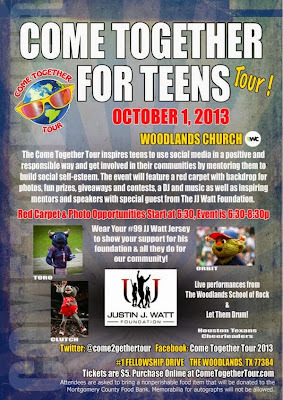 Come Together for Teens on Tuesday, October 1 with the Woodlands Church! You're invited to a Red Carpet and Photo Shoot at 6:30 p.m. This event is to inspire local youth and teens to use social media responsibly and in a positive manner, and to encourage community involvement by mentoring them to build self-esteem. Special guest speakers and mentors from the JJ Watt Foundation will be joining participants in this event. This event would not be complete without fun prizes, give-aways, contests, games, and a DJ!